Maria Perez Soto, 90, of Bryan, Texas passed away Thursday, August 9, 2018. Funeral Services are set for 2PM Sunday, August 12 in the Chapel of Trevino-Smith Funeral home. Visitation will be from 12 up until service time. Born October 17, 1929 in Port Lavaca, Texas, she was the daughter of Vicenta and Alejandro Perez. She was a loving daughter, wife, mother, and grandmother. During her early years, she followed her family as a migrant worker, going to wherever crops needed harvesting. She worked in the service industry most of her life and instilled a deep work ethic in all her children. Each one has gone on to have successful careers in service to others – in education, military service, nursing, and law enforcement. She met the love of her life, Ipolito Vargas Soto, and they married on September 2, 1949. They were married for 68 years, and had five daughters and one son. Maria was preceded in death by her parents, a daughter, Divina Linda Soto, a brother, Jose Perez, two sisters, Paulita and Elizabeth, and daughter-in-law, Say Son Soto. 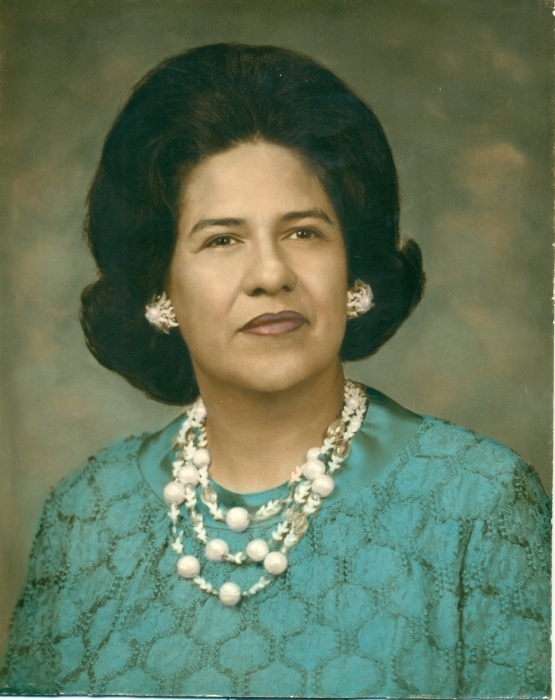 She leaves behind her husband, I. V Soto, her children – Diana Howland (Bill), Raynaldo Soto (Irasema), Delia Castillo, Delfa Wyeth (John), Debi Fincher (Mike); a sister, Juanita Reyna, and three brothers, Ignacio, Jesse and Alejandro Perez; in-laws - Juanita Soto, Mary and Pete Garcia, Leonora and Lorenzo Soto, and Stephan Alaniz. She and her husband had 17 grandchildren, 26 great-grandchildren, 2 great-great-grandchildren and numerous nieces and nephews.